By placing an order with us you are bound by the terms and conditions set out below. You should keep a copy of these terms for your records. “Goods” means the goods we will supply to you in accordance with these T&Cs. “Order” means an order you place detailing the goods you wish to purchase from us. “We/Us/Our” means Mel Varvel trading as Totally Wonderfuel. “You/Your” means you, the person using our website and/or buying from us. 1.1 The Terms in Section A explain how Our Website must be used. They apply to ALL users of the Website. Section B also applies when you buy Goods using the Website. We may amend the Terms from time to time and you are advised to check the Website regularly for any changes which we make. 2.1 This Website is aimed at people who are consumers. The information on this Website is in English, all communications shall be in English and the Website is designed to comply with English law. You may be viewing the Website in a market in which we do not commonly sell our goods and we cannot be held responsible for non-compliance with any local advertising or other laws in relation to this Website or its contents. 2.2 This Website is operated by Mel Varvel t/a Totally Wonderfuel. Our address is 1A Auckland Road, Christchurch, Dorset, BH23 4HH. The copyright and other ownership rights (known as “Intellectual Property Rights”) in this Website and its contents (including design, text, logos, trade names, graphics, software and any other material) are owned by us or our licensors. You must not yourself or allow anyone else to publish, copy, distribute or modify any of the content of this Website. Anyone may view this Website and print pages from it for personal use only, for browsing our products and placing an Order with us. Any other use is strictly prohibited without our prior written consent. You must not make any copy of any material from the Website for any business related use whatsoever. You must not in any way copy, reproduce or use any trademarks, logos or brand names which appear on the Website. Linking to Our Website on other websites is at our discretion and we may require that you stop providing links to our Website at any time. We may use any information which you upload to our Website as we decide and we may also disclose that information to a third party. We have taken great care in compiling this Website but we will not be responsible for any damages, losses or costs, whether arising from our negligence or otherwise, as a result of your use of or reliance on the Website. We aim to provide information which is accurate and up to date; however, we do not guarantee to do so. You are responsible for making sure that your reliance on this Website is suitable for your own purposes and the information which we provide is not intended to be advice which you should rely on. We may change, remove or in any other way adapt the content of Our Website at any time and without advance notice. We may provide links to other websites. If we do this, those links are provided for your convenience only and we cannot be responsible for the content or availability of those websites. We do not guarantee that this Website will always be available or be free from error, virus or similar. We are under a legal duty to supply goods that are in conformity with the contract and we aim to ensure that the product images on our Website are as accurate as possible but there may be slight colour variations between the Goods and the images shown online. Submissions or comments which are in any way defamatory, abusive, obscene, unlawful, sexist, racist or which may in any way cause offence to any person are strictly prohibited. You must not use any abusive language, be aggressive, swear, threaten, harass or abuse any other person including but not limited to other users of this Website. All information which you submit should be accurate, truthful and should not be copied. You must use your own identity at all times when using the Website and should ensure that all information which you provide is accurate and up to date to the best of Your knowledge. You must not use information about any other person except if you have their permission to do so. If You have a password as part of Our security procedures, you must treat that information as confidential and must not disclose it to anyone. We may refuse access to this Website to anyone who does not comply with these Terms. 6.1 The Website displays Goods which are advertised for sale and gives information about them. By advertising Goods on the Website, we are inviting you to place an order with us. If you place an Order, we are not obliged to accept that Order and the Contract between us will only be formed if and when we accept Your Order. Neither submitting an electronic order form, nor completing the checkout process constitutes our acceptance of your Order. Our acceptance of your Order and the completion of the Contract between you and us will take place when we send an email to tell you that your payment is going in the Ironman kitty. You may include any number of items within a single Order, subject to any restrictions set out in these Terms or on the Website and each Order which you place will be a separate Contract between us. We reserve the right to refuse to supply Goods to any person. 6.2 Any variation of the Contract once it has been formed must be expressly agreed between you and us in writing. 6.3.4 You fail to submit all necessary and relevant details to allow us to fulfil the Order. 6.4 We may contact you by telephone or email to verify details before we are able to process and despatch your Order or we may be unable to accept it. 6.5 The Goods shown for sale on this Website are intended for private, consumer use and you must not resell Goods or offer them as a commercial enterprise. We reserve the right to limit the total value of Goods which can be included in an Order. 7.1 Prices and delivery charges are as published on the Website at the time you place Your Order. Prices include VAT and are in pounds sterling. Delivery charges are shown separately. All applicable delivery charges are as stated on the Website or as specified over the telephone at the time you place your Order. The delivery charge for the Order is shown on the shopping basket page below your chosen items. The delivery ‘by hand’ option may only be selected if agreed by prior arrangement (email or telephone) with us. 7.2 Special offers and promotions on the Website are subject to availability and we may change or withdraw them at any time and without notice. Nothing shall oblige us to maintain offers or promotions for any period. Additional terms may apply, details of which will be displayed. 7.3 We must receive payment for the Goods in full before they are despatched. 7.4 We accept payment via Mastercard, Visa, Maestro American Express (includes using digital wallets such as Apple Pay and Android Pay) and Paypal. All credit and charge card holders are subject to validation and security checks as well as authorisation by the card issuer and any additional terms imposed by the issuer. If the issuer does not authorise payment, we will not accept your Order and will not be liable for any delay or non-delivery. 8.1 If you believe that we have delivered goods that are defective in materials or workmanship, you must inform us as soon as possible; and allow us to investigate. 8.2 Nothing in these Terms shall affect your statutory rights. These are your rights granted by law and which cannot be changed by us. 9.1 We are not liable for any other loss or damage (including indirect or consequential loss, financial loss, loss of profits or loss of use) arising from the contract or the supply of goods or their use. 9.2 Our total liability to you (from one single cause) for damage caused by our negligence is limited to £5,000,000. 9.3 For all other liabilities not referred to elsewhere in these terms our liability is limited in damages to the price of the goods. 9.4 Nothing in these terms restricts or limits our liability for death or personal injury resulting from negligence. 10.1 We aim to deliver the Goods within the indicative timescales shown on Our Website. References to “working day” shall mean any day of the week excluding weekends and Bank Holidays. If we are unable to deliver the Goods within the indicative timescale, we shall use reasonable efforts to tell you this by e-mail and give an amended delivery estimate. 10.2 If you order more than one product, we do not guarantee that all Goods will be delivered to you in one delivery and we reserve the right to deliver in multiple consignments. 10.3 Ownership of the Goods will only pass to you upon delivery of the Goods. The Goods will be at your risk from the time of delivery and you should therefore take reasonable care of them. 10.4 Goods will be delivered to the address which you provide in the Order process however delivery practices may vary depending on which carrier is delivering the Goods. You must provide a valid address for delivery. The delivery method which we use may vary depending on the nature and number of the Goods. We shall select what we think is the most appropriate delivery method for the Goods. 10.5 Arrangements for delivery will depend upon the carrier we use to deliver the Goods. This may include leaving the Goods with a neighbour or in a safe place in or around your property. 10.6 If the Goods are not delivered on the date expected you should notify us of such non-delivery within 5 working days of such failure of delivery. All ownership rights known as intellectual property rights in the Goods including all designs, trademarks, brand names, images and logos are and shall remain our property or those of our licensors. At no time shall any rights, title or interest in the intellectual property rights pass to you. 12.1 The Contract between you and us is binding. You may not transfer or assign your rights or obligations to another person without our express agreement. We may transfer or assign our rights and obligations under the Contract; we reserve the right to appoint third parties to assist us in performing our obligations at any time provided that this will not reduce our obligations to you. 12.2 If any clause of this Contract is found in any way to be void by a Court or other competent authority then all other clauses of the Contract will continue to apply. 12.3 This Contract is subject to English law and both We and You agree that any dispute arising under or connected to it will be decided by the English courts. 12.4 We may amend these Terms at any time and without notice to you. Any change will take effect immediately after being posted on the Website and will be deemed to be accepted by any person who uses the Website. 12.5 A person who is not party to this Contract shall have no right under the Contracts (Rights of Third Parties) Act 1999 to enforce any term of it which means that only We and You have rights under it. This does not affect any right or remedy of any person which exists or is available otherwise than under that Act. We shall not be liable for any delay or failure to perform any of our obligations if the delay or failure results from events or circumstances outside our reasonable control, including but not limited to illness, acts of God, strikes, accidents, war, fire, or shortage or unavailability of raw materials from a natural source of supply, and We shall be entitled to a reasonable extension of our obligations in these circumstances. If the delay persists for such time as either party considers unreasonable, We/You may, without liability for loss on our/your part, terminate the contract without any further liability. 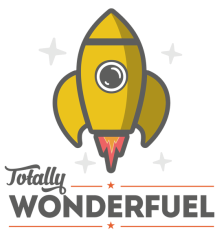 For purposes of this Agreement, “Service” refers to the Company’s service which can be accessed via our website at www.totallywonderfuel.co.uk or through our mobile application. The terms “we,” “us,” and “our” refer to the Company. “You” refers to you, as a user of Service.